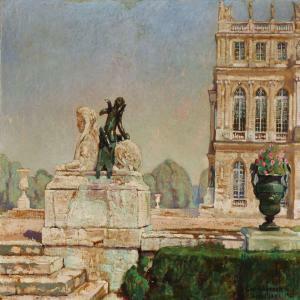 Find artworks, auction results, sale prices and pictures of Einar, Lili Elbe Wegener at auctions worldwide. 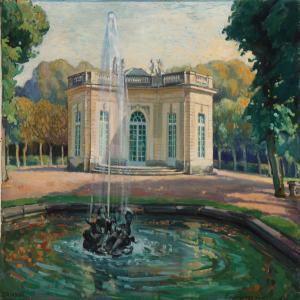 Einar Wegener: "Le pavillon francais". View from Versaille. Signed and dated Einar Wegener Trianon 1928. Oil on canvas. 65 x 81 cm. 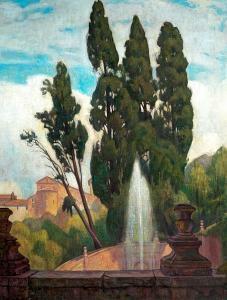 "Le pavillon francais". View from Versaille. Signed and dated Einar Wegener Trianon 1928. Oil on canvas. 65 x 81 cm. backside painting with view from Rosenborg. 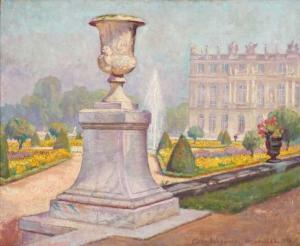 Einar Wegener: View from the park surrounding Versaille. Signed and dated Einar Wegener Versaille 1920. Oil on canvas. 61 x 82 cm. View from the park surrounding Versaille. Signed and dated Einar Wegener Versaille 1920. Oil on canvas. 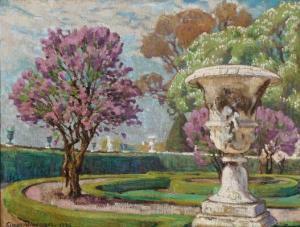 61 x 82 cm.